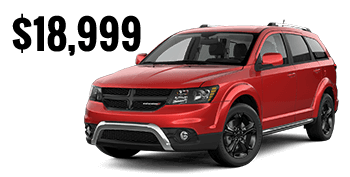 At Bonham Chrysler we have a wide selection of Chrysler, Dodge, Jeep and RAM models to match you with your desired car, truck or SUV. We serve the automotive needs of McKinney, Sherman, and Paris, Texas with pride, and encourage you to visit us in Bonham today! Our commitment to quality customer service is evident in our sales team, who can help guide you through a customized shopping plan. 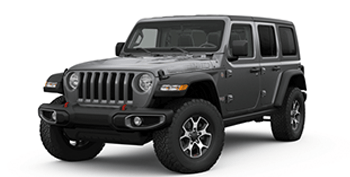 Whether you're doing your due diligence by browsing our Jeep Wrangler inventory on-site or you've done all your research online and are ready to drive home in a new Dodge Charger, the Bonham Chrysler team is here to help! Our new and used dealership in Bonham, Texas offers financial services for all drivers, even those that are searching for credit challenged options so that we can be sure all our customers are treated to fair auto loan packages. If you already own a powerful RAM 1500 and are looking for quality care, get in touch with the experienced technicians over in our service department! Bonham Chrysler is eager to assist with all your auto needs, no matter what they may be, so feel free to contact our team today! Our professional sales team is eager to create a customized shopping plan that takes into account your wants, needs and budget, so don't hesitate to visit Bonham Chrysler near McKinney, Texas today! We have a fully stocked inventory of new car options to browse, and we're familiar with all the standard and available feature each trim boasts. Feel free to explore our inventory online before reaching out to our dealership to learn more! Whether you're buying new or used, purchasing an automobile is an investment, and it's important to have professional auto loan assistance. Our knowledgeable finance department staff is experienced in helping all credit scores, and we encourage you to send in a credit application to get started! Don't hesitate to get in touch with our Bonham team to learn more about how you can drive home in a powerful RAM 3500 with a less than perfect credit score! Eager to work on your RAM truck at home? Ensure it has all the Original Equipment Manufacturer parts it needs in order to run efficiently, head to Bonham Chrysler to shop our parts department today! We stock an array of OEM products and have even made an online form available so that all drivers in the area can secure quality parts and accessories with ease. Shop our parts specials here on our website before placing your order! Maybe committing to a new car or truck today is more than you want right now. No problem, our full selection of new-to-you cars, trucks, and SUVs will align your automotive needs with your budget. Don't forget; we're the #1 RAM dealer in North Texas for a reason! If you're in the market for a quality pre-owned vehicle, don't hesitate to drop by our dealership near Sherman, TX at your earliest convenience for a thrilling test drive! We all know that proper maintenance is vital when it comes to preserving the life of any vehicle. When the time comes for an oil and filter change or a tire rotation, schedule a service here at Bonham Chrysler! 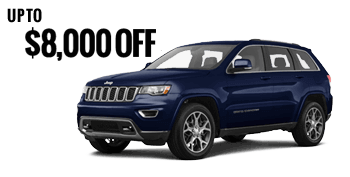 We offer competitive service prices and a range of special offers to make use of, so don't hesitate to reach out to our new and used dealership to discuss the maintenance needs of your Jeep today! For drivers that can't make their way to our Bonham, Texas location for a hands-on experience of a Chrysler Pacifica, we encourage you to explore the secure resources we've made available online. You can learn about the features a new ride offers, can value your trade-in or can see if any of our current service specials apply to your situation. If you'd rather enjoy a personalized experience with a dedicated professional, drop by Bonham Chrysler near McKinney today!